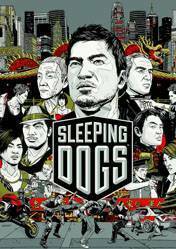 Welcome to the city of Hong Kong, hunting ground of Wei-chen, undercover cop in the triads with harsh methods. You can navigate the megalopolis in a vast open world. Every corner is conducive to a brawl or a shootout between gangs. The melee combat system was pushed for the first time in this kind of game and offers huge possibilities. Some items will enhance your skills and it will be possible to train in various places of the city. Multiple characters characters will accompany you in your journey from a cop or a childhood friend to the heads of the worst gangs in the city.